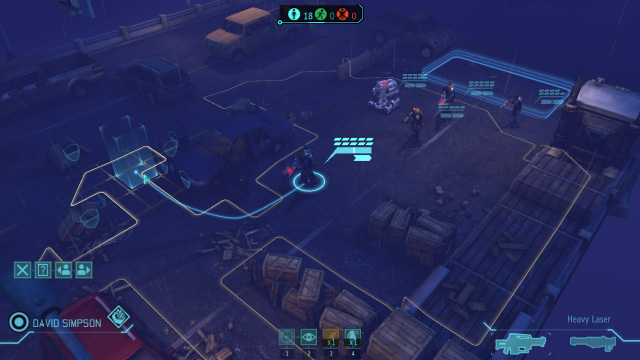 Last year’s XCOM: Enemy Unknown enjoyed critical and commercial success Xbox 360, PlayStation 3, and PC. Unfortunately, one thing each of those platforms has in common is that you can’t take them on the bus. Developer Firaxis also noticed this, and soon we will have a shiny iOS port of Enemy Unknown to take with us on the go. The 2K China-ported title will, according to lead developer Jake Solomon, be a complete port–“a full AAA title”–that will deliver almost everything the original game sported. This includes destructible environments and the fog of war. In fact, since development on the port started shortly before the release of the core game, the main objective was to make a full port with little to no reservations. The only difference, says Solomon, is the number of maps, an inevitable result of the App Store’s file size limitations. Still, Solomon says, everything else is intact, and 2K China has closely replicated the feel of a PC game with the touch scree controls. There is no word on release date and pricing right now, but 2K says the app will be premium-priced (e.g., a lot more than $0.99). It will be available on the iPod Touch, iPhone, and iPad. Will you XCOM fans jump at the chance to take this award winning strategy title on the road with you? Tell us in the comments, or discuss XCOM in our forums!